El Geco Verde is the brainchild of Des and Ilaria, an Anglo-Italian couple who met in London at the dawn of the century. After falling in love with each other they fell in love together with Andalucia. After nearly 10 years of working in London they got fed up with the daily commute, the dark, grey skies, the stress. When the kids started arriving it was time for a big change. Wide open spaces, sunshine, tractors! 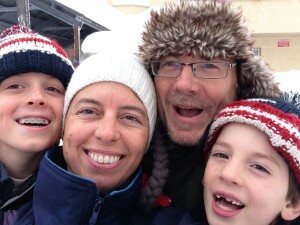 Italian Ilaria longed to reconnect with the Mediterranean climate and lifestyle; more sunshine, more time to spend with the kids, more time to perfect the art of pizza making. English hubby Des had no complaints! Seasoned travellers, they spent a few months learning Spanish in central America and scoured southern Spain on successive holidays looking for the perfect spot to build a little eco-hotel; the kind of place they´d love to stay at themselves. In 2004 they found an abandoned farmhouse on a hill near the gorgeous whitewashed village of Castril. The house was owned by Paco, the local beekeeper, who was using it as a storeroom for his hives. Though little more than a ruin, the house had a large footprint; big enough for what the couple had in mind. The area around was unlike anything they´d seen before in Spain; forests, deserts, lakes and mountains, the scenery continually delighted and suprised. And the people still live in caves! Smitten by the strangeness of it all, the peaceful surroundings and inspiring views, they struck a deal with Paco and the rest is history. Their first son, Ludo, arrived in 2005 and a year later they made the big move. Living intitally in Castril while the permissions and plans were drawn up, the building work finally got underway in 2008 and the work was completed in 2010. By this time a second son, Fede, had made his grand entrance. A lot can happen in two years! Part of the old house was restored, the rest knocked down and redeveloped. 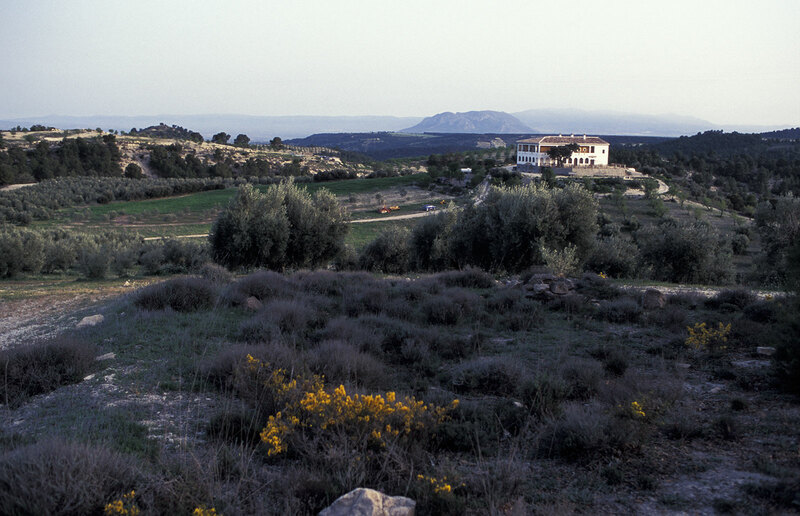 The result is a small country hotel built and maintained on ecological principles in an endlessly fascinating and authentic corner of Andaluica, the Altiplano de Granada. To say that the project has been complicated and challenging would be an epic understatement. We (Ilaria and Des) are just glad that our guests seem to agree with us that it´s all been worth the effort, or “merece la pena” as they say here in Spain! El Geco Verde is more than just a country hotel with lovely views. We want it to be your home away from home!